What is a Shared Campus? A Shared Campus occurs when two or more congregations, almost always with different denominations or identities, jointly own and use one facility. The concept of ownership is key--"Shared Campus" as it is used in this site is not the common landlord-tenant shared building situation. In a Shared Campus each congregation keeps its own identity and usually has its own worship services, but janitorial, maintenance, and office staff are shared. Youth programs, outreach efforts and other ministries are often joint as well. 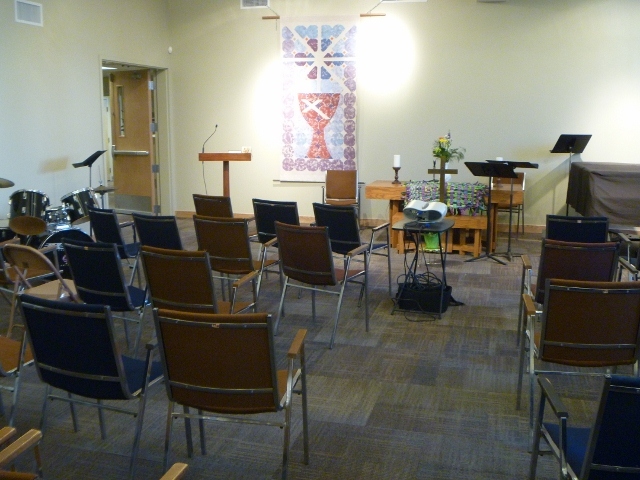 In a few cases the shared campus facility has two sanctuaries so both congregations can worship at the same time. The facility is owned by a non-profit corporation that is controlled by the congregations, and a joint board coordinates the shared use of the building and allocates expense. Ecumenical shared buildings have a long and fascinating history in the United States, as described in the history section at the bottom of this page. It is a little surprising that more churches don't share a campus because the track record is remarkably strong. The Mankato MultiChurch Center in Mankato, MN, is the only shared campus situation we know of that dissolved, and it lasted from 1974 to 2004. The experience of all the other examples we have is very positive. It is not uncommon for the shared campus to work so well that the congregations eventually consolidate. Many shared campus situations today are Episcopal-ELCA partnerships, but others involve United Methodist, American Baptist, Presbyterian, and United Church of Christ. The Trinity Ecumenical Parish in Moneta, VA lives up to its name as an ELCA-Episcopal-Presbyterian congregation that actually meets in a rented Roman Catholic church. 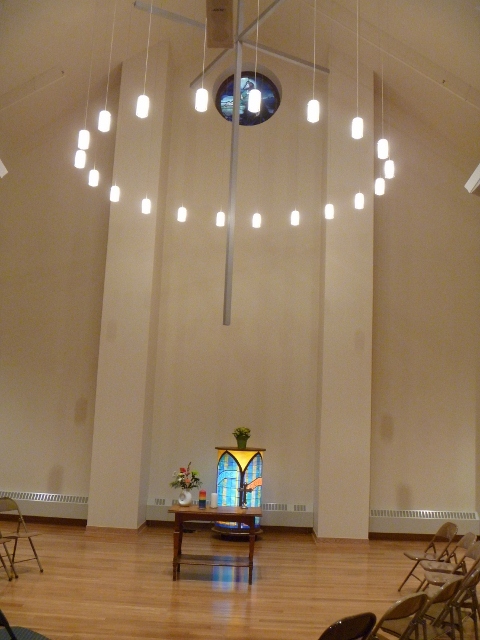 Palisades Lutheran in Palisades, California, is a partnership between separate ELCA and Missouri Synod congregations. These congregations worship and function jointly, however, and present themselves to the community as one church. The shared campus concept has several benefits. It cuts facility-related expenses by almost half for each congregation and saves additional dollars with shared office and programs. It removes most of the time-consuming facility issues from the church council agendas so the councils can focus on more important matters. A shared campus allows volunteers to devote more time on mission and less on maintenance. It shows the community that Christians can work together ecumenically and it helps local government by taking less property off the tax rolls. 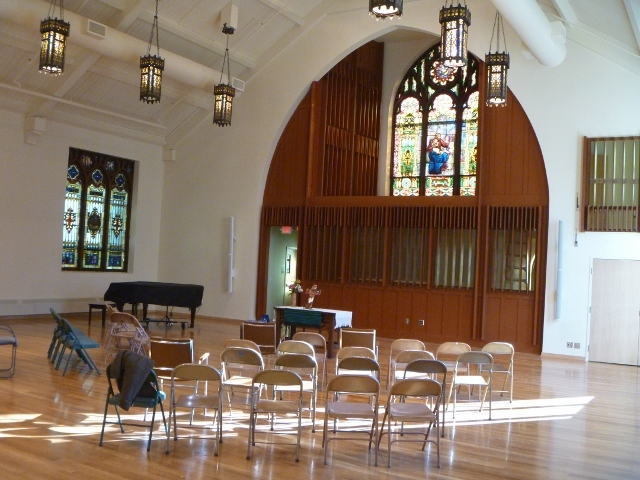 A shared campus cuts the environmental impact of the congregation by almost half. Shared campus congregations also report stronger youth programs due to the additional critical mass. The main obstacle to forming a shared campus situation is the natural tendency to identify one's church in terms of the building and the resulting pride of ownership that congregations tend to develop. A second big obstacle is the fact that the money that each partner brings to the table is not likely to be exactly equal. For a shared campus to work the leaders have to nurture a mindset that says that money and land and buildings belong to God and not to the congregation. A minor obstacle can be community identification--people aren't used to seeing the names of two churches on one building. A critical key is a well-crafted partnership agreement. Successful agreements provide for parity in decision-making and they anticipate the problems that are likely to come up. Fortunately there are some good model agreements available. If you know other examples or are involved in a shared campus situation send a note to this site to tell us your story and give your feedback. The "union church" concept started in Pennsylvania by Christians of Lutheran and Reformed backgrounds who came to the US from Germany. Being frugal people, it was not unnatural for them to construct one building in a community to house two congregations. They often had Lutheran and Reformed services on alternate Sundays because ministers were scarce and often served a circuit of several churches. Union churches tended to either separate as they became wealthy enough to support their own buildings or to consolidate into one congregation, but as late as 1966 there were at least 163 union churches still in existence. Some are going strong today. One example is St. John's United Church of Christ in Laurys Station, PA. St. John's started as a Lutheran-Reformed shared campus in 1872 and consolidated as a UCC church in 1965. This account is from a 1967 book by Horace Sills titled Grassroots Ecumenicity. This fascinating book is apparently out of print but used copies are available at low cost from Amazon and other booksellers. "Federated" churches were fairly common in the 1940's and 50's in North Dakota and presumably other states. Both federated and union churches involved two congregations of different denominations sharing one building but the way that pastors rotated was quite different. In union churches the pastors rotated on a weekly basis. Federated churches called one pastor from one of the denominations. That pastor led one service each Sunday that incorporated elements from both denominations. When the first pastor left the church would generally call a pastor from the other denomination. Federated Church in Grand Forks, North Dakota is Baptist and United Church of Christ and is still going strong today. The sanctuary has both a baptismal font and a baptismal pool.